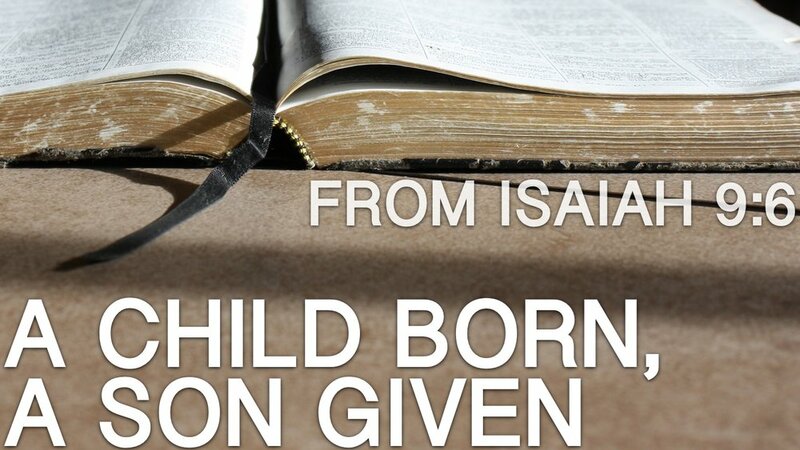 As promised, during these next 9 days we'll be reminding ourselves of how Isaiah fortells the character and life of the comming Mesiah in Isaiah chapter 9 verse 6. The fact that God loved us enough to save us is unthinkable. but that He would go to the extent of becoming part of creation in order to save them - knowing that it would cost Him His life. A Child was born - that's what we just covered, He became part of creation. I was taught that when you give something, you need to make sure there are no strings attached, no expectations to meet. Otherwise, it's not a gift, it's just a contract. God's "no strings attached," "take it or leave it," "no obligation" gift of His Son to all of humanity is an above the top gift. and left the name spot on the check blank. and said "whoever wants to cash this can simply write their name on it. Whoever believes in this Son, Who was given. Is giving us the opportunity to accept or reject Him. And gives us the choice to accept or reject Him. But God didn't want those things to sway us. To force us to love or obey Him. And gave us a choice. Let's remember this as Christmas Day draws near. and celebrate His love and favor this Christmastime.